This DVD release collects the first six episodes, all of which aired between July and August 2018. It’s a perfect introduction to the series, allowing kids to meet Nancy Clancy, a kid who likes the finer things in life, such as plastic beaded necklaces, paper flowers, tiaras, tutus, and butterflies. She is countered by friends and a younger sister who have less specific interests and aren’t always able to play exactly the way Nancy wants to. Nancy is notorious for breaking the fourth wall, but usually to explain a “fancy” word she just used to the young audience. She never asks the audience for assistance or participation, but there are still learning opportunities, even beyond expanding a child’s vocabulary. The lessons typically teach kids to be flexible and go with the flow when things don’t go as planned. Each 21-minute episode is split into two parts, each telling a different story. The episodes included here are “Chez Nancy/School de Fancy,” “Tea Party Trouble/Bonjour Butterfly,” “Nancy’s Ooh La La Spa/Nancy Goes to Work,” “Nancy Versus Dudley/Nancy Makes her Mark,” “Nancy’s Devine Sleepover/Nancy’s Sacre Bleu Fondue,” and “Nancy’s Dog Show Disaster/The Case of the Disappearing Doll.” The total runtime is 2 hours 20 minutes, a lot of “Ooh La La” to keep kids entertained anywhere they have access to a DVD player. 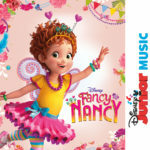 Unlike most Disney Junior DVDs, there aren’t any bonus features on Fancy Nancy. The types of bonus features typically included are music videos or short content and it may just be too soon, given that the series has only been on the air for four months. Odds are that kids won’t notice the absence and the episodes occasionally feature original music. 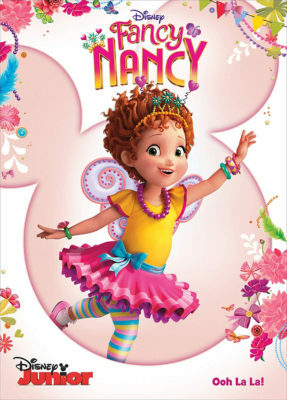 Fancy Nancy comes in a standard black DVD case. 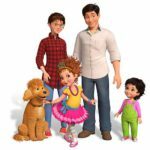 Inserts include a code for 100 points from Disney Movie Rewards and a flier for Disney Movie Club. The disc uses Disney Fast Play, which allows parents to pop in the disc and walk away without waiting for a menu to load. If you let it play out, it ads a trailer for Mary Poppins Returns before the episodes and plays additional ads for Disney Movie Rewards and Disney Now after they finish. The main menu features a still image with instrumental music from the opening theme. 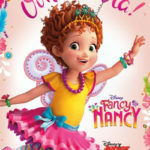 It’s easy to see why kids love Fancy Nancy and this DVD release allows them to enjoy the first six episodes anytime they want. Steaming may make these types of releases obsolete in the near future, but until Disney+ launches in a year, this is one of the easiest ways to give kids a piece of their new favorite show.